Its that time again....inspiration through photos! Here it goes! A pot of flowers from the garden...you cant beat that smell or feeling when you see flowers on the table....a simple pleasure of mine! We have some sweet peas and when I picked them for our living room the scent went through the house and the room lit up with the simple arrangement. 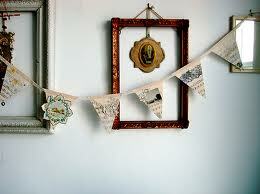 To make bunting is simple, I definately need to make some for my house...I feel a sewing day coming on! A white room with splashes of colour, I love this room! Though its white it is warm and comfy. A french dresser is something I adore! I would love it adorned with my vintage crockery. Look at this camera!!!! WOAH!!! I would love this!! What a fab idea and how pretty does it look! I love the print. Pretty fairy lights adorned with lace dollies! Who would've thought a simple look could look so pretty and romantic! Would love these! They would lovely at a wedding. I want these nails!!! And check that bow ring out! What bling! I gather they are foils, leopard print is something I own a lot of! So these are great, would love to wear these! That ring is divine! Pretty heels..yet again a picture of shoes, as you can guess I love shoes! These are so pretty! 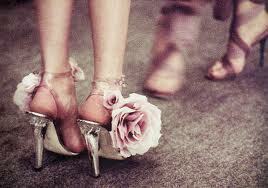 A pink rose to transform some silver strappy heels....would look great with a dress or pencil skirt! 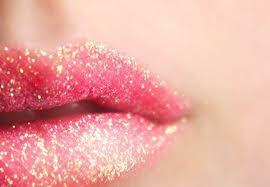 The Pink lips are super cute! 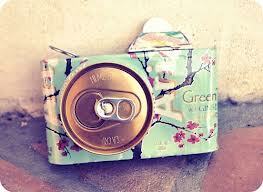 That can camera is so cute! Loving how creative this is. My Mama paints french dressers and other furniture in vintage styles from her little home business :) So naturally our whole kitchen is country shabby chic. I pretty much adore everything about this post. 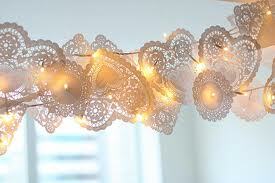 I'm actually going to make some bunting and doily fairy lights for my new flat I move into next week! - I'm going to be living with 5 vintage loving girlies, excited doesn't even cover it!